I am obviously trying to distract myself from cleaning the house. We can start with the shower bombs. SUPER freaking easy. I saw it on Pinterest, read some comments and went from there. 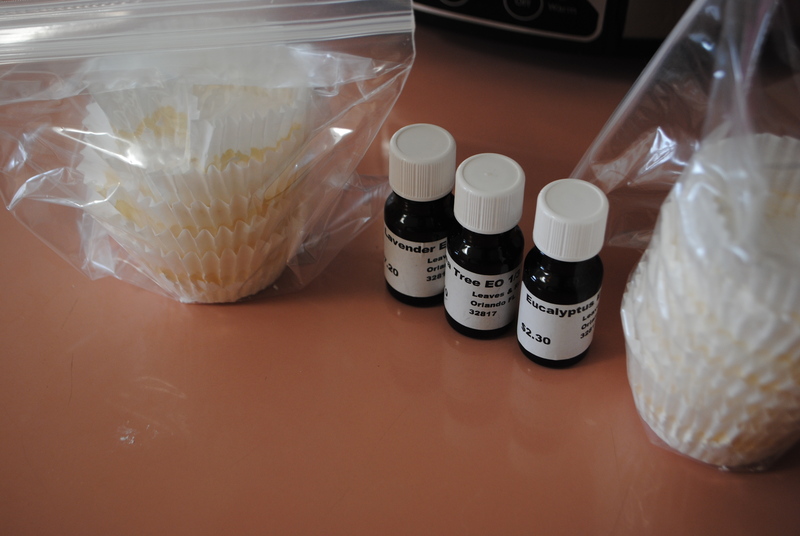 mix these two into a paste and then put in cupcake liners, if you have the ones with aluminum on the outside, you don’t need a cupcake pan. I used my pan with just the plain paper liners. Bake at 350 for 20 minutes. When it’s done, let cool and then add a few drops of essential oils. I did a blend of eucalyptus, lavender and tea tree. I haven’t used one yet since I literally just did this but I am really excited to try it out. Especially now that allergies have invaded my face. I’ve been drinking almond milk for a few months now. I’m totally grossed out by cow’s milk and what it may or may not contain. I seriously have trust issues with what I eat and knowing what is in it. Almond milk, has something I had never heard of it in, carrageenan. No thank you. Google it. Seriously, what is easier than water and almonds to make almond milk? If I could buy almonds in bulk, I think it would be much more worth it. Simply measure out a cup of almonds, put it in a bowl and add a few cups of water. In the morning, strain your almonds, place them in a blender or processor with 3 cups of water and let’er rip. 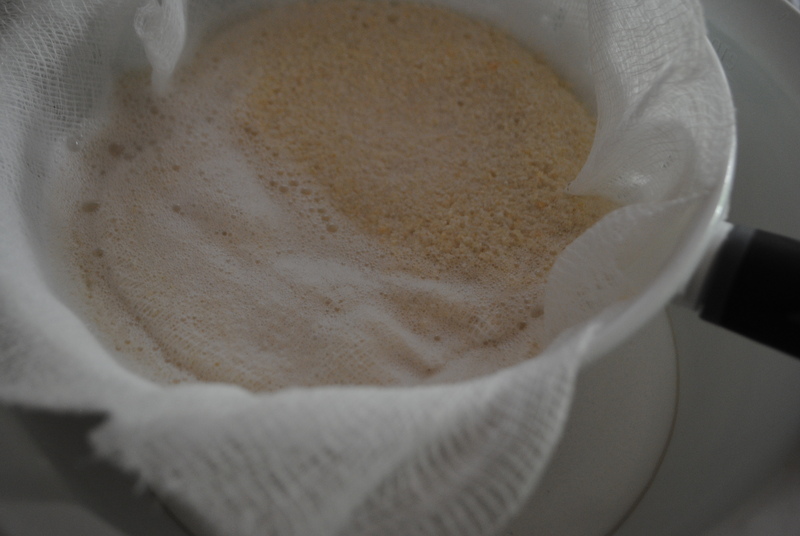 Once it’s done, pour the almond and water into a strainer lined with cheesecloth to get all of the almond meal you created out. 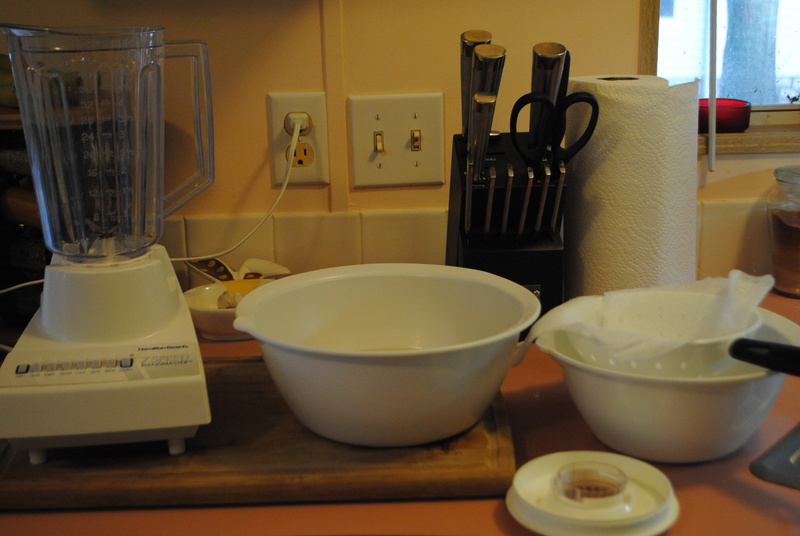 I let it sit for about 10 minutes, then I grabbed the cheesecloth from the top and twisted it closed, pressing the liquid out and into the bowl. Keep twisting to increase the pressure or get bored doing it and hold the top closed while you squeeze the crap out of the meal. 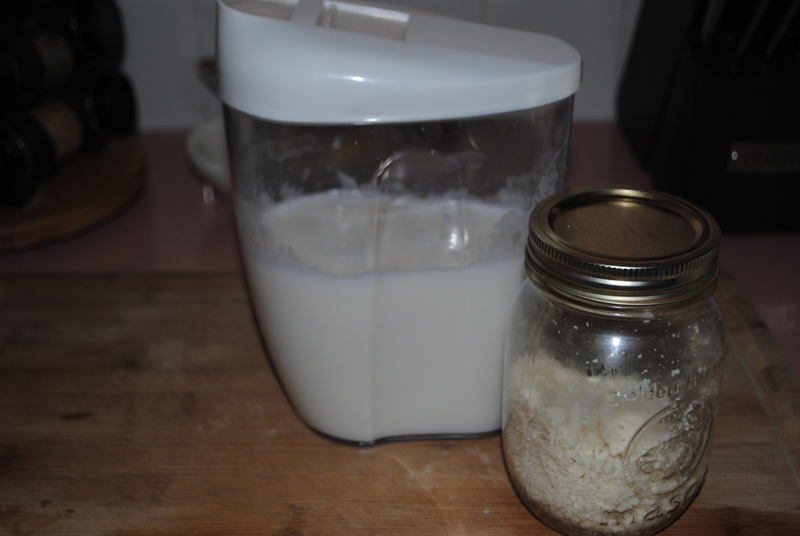 Once I was all done, I poured the almond milk into the container and the meal into a mason jar. The almond milk does have some separation, but just giving it a shake will fix that. No lazy bones in the kitchen!! This yielded about 2 3/4 cups of almond milk. I don’t drink a ton so that is a fine amount for my personal use. I put a smidge in my morning coffee and it was SO amazing. I also put a bit of the almond meal in my oatmeal and I was actually surprised by how much I enjoyed it!! Yay for almonds. This is good for about 4 days and make sure your container has a tight seal because you will need to mix it. This entry was posted in Food, Health and tagged almond, bomb, cold, diy, essential oils, healthy, homemade, milk, shower, therapy by themcdorkins. Bookmark the permalink.